It was on Valentine’s Day of last year that Steven Stucky passed away. Brain cancer, they reported. 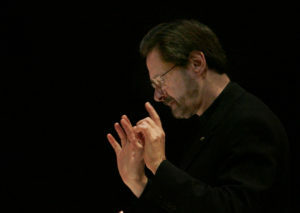 “Steven Stucky, Composer Who Won a Pulitzer, Dies at 66” was the boiled down headline of the NYT, where his numerous life’s accomplishments were listed off in their characteristic no-frills style, his monumental accomplishments more impressive by the plain delivery. I never had the opportunity of meeting him, but from all accounts, he represented the type of engaged, creative, and brilliant musician that is particularly needed in this current age. He was extremely active in bringing new music to more audiences, seemingly non-stop in his energy to create not only powerful music, but to found ensembles, educate, and to be a very public advocate for creativity today. He was on the faculty of Cornell University, The Juilliard School, as well as the resident composer of the LA Phil, which he held for 21 years (the longest relationship between a composer and a major symphony to exist). He founded the new music group Ensemble X in 1997 (which our frequent guest clarinetist Richard Faria is a member of), was the host of NY Phil’s “Hear and Now” contemporary music series, and either chaired or sat on the board of prominent new music organizations such as New Music USA, the American Academy in Rome, and the Koussevitzky Music Foundation. 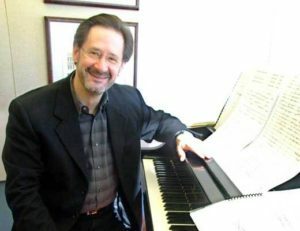 He was ALSO the permanent composer-in-residence at Aspen Music Festival, Visiting Professor of Composition at the Eastman School of Music and Temple University, and Ernest Bloch Professor at the University of California, Berkeley, as well as recently appointed director of contemporary music at Tanglewood. In addition to that Pulitzer he won in 2005, he had received the Guggenheim Fellowship, a Bogliasco Fellowship, the Goddard Lieberson Fellowship of the American Academy of Arts and Letters, the ASCAP Victor Herbert Prize, and fellowships from the National Endowment for the Arts, the American Council of Learned Societies, and the National Endowment for the Humanities. 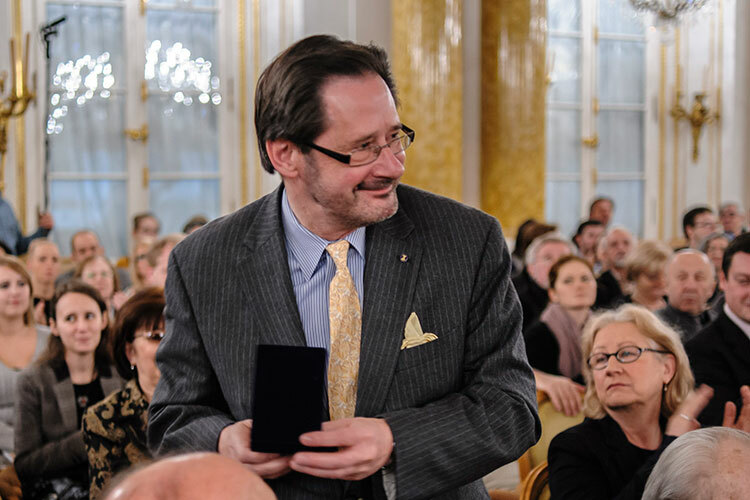 Steven Stucky is one of the greatest authorities on the musical output of Witold Lutosławski, and the author of a valuable monograph titled Lutosławski and His Music (Cambridge 1981), recognized with the prestigious ASCAP Deems Taylor Award. His achievements in this field also won him the Gold Medal of the Witold Lutosławski Society in Warsaw. As a valued expert and mentor to the young generation of composers, he was appointed jury member of the Witold Lutosławski Composition Competition organized by the Witold Lutosławski Society. I list these out, just a FEW of his exhaustive accomplishments, to give a sense of how much work and energy he had put into promoting music today. He seemed to really understand how vital it was for a musician to participate and give back, to the point where it seemed he never took any inkling of break. He will be sorely missed by everyone in the music community. There is a beautiful eulogy for him written by his son, Matthew, on Slipped Disc. Even though I didn’t know either of them, it still brought tears to my eyes. “When I was a young and enthusiastic if not very skilled violist, I loved nothing better than to play chamber music, any time, any place, with anybody who would have me. Thus I have carried that repertoire around with me ever since. Forty years later, I still can’t live without the two piano quartets by Mozart or the three by Brahms…Attempting my own first work in this medium at the comparatively late age of fifty-five, therefore, has stirred conflicting emotions: intimidation on the one hand at the idea of “competing” against the masters, but on the other hand a feeling of come home to familiar, much-loved surroundings. To me, this shows to me an elevation by Stucky of the piano quartet to a chamber music genre populated by the masters, which he felt both awed and excited by. He seemed to strongly identify with the narrative of human struggle, and his piano quartet reflects to me a profound searching that I find most moving in the works of Brahms. Steven Stucky’s Piano Quartet will be performed by the Garth Newel Piano Quartet on their first pub concert of the year: “Stucky, Stew, and Stout”, alongside music by our past composition competition winner, Paolo Boggio, as well Bedtime Stories by Tom Johnson, and William Albright‘s raucous Nightmare Fantasy Rag. Come to Garth Newel’s Herter Hall on Saturday, January 28th to have a few drinks and to hear a great piece by a great man. Happy Hour starts at 6pm, performance at 6:30. No reservations required, no ticket price, just pay what you wish!